Drop your car off at the dedicated Meet and Greet area and walk to check-in in minutes. When you arrive, the barrier will rise automatically, allowing you to drive in to the Priority Reception to hand over your keys. 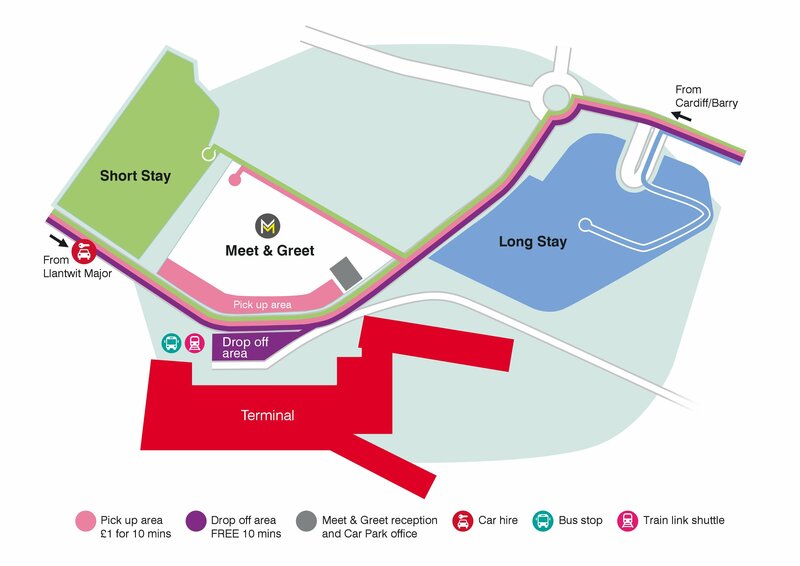 Then simply walk to check-in while your car is taken to a secured car park, where it will stay whilst you're away. Directions and more information can be found on your booking confirmation. Dedicated assistance for passengers with reduced mobility, including a Special Assistance Call Point (linked to the service desk on the ground floor of the terminal) and a sheltered area where customers are met by Special Assistance operatives. Follow signs for Meet & Greet. When you reach the car park the cameras will recognise your number plate and the barrier will rise. Drive to the Meet & Greet shelter which will take digital images of your car, then pass through the final barrier. You’ll be met here and directed to the Priority Reception, where you check in your car and hand over your keys. You can walk to the terminal from here in a matter of minutes. Your car will be moved to a secured car park on airport ground, where it will stay while you’re away. After you land head back to the Priority Reception, where your keys and car will be waiting.